If you're stuck with a small kitchen or the dreaded kitchenette, then you know what it's like when you first start to organize items. Dishes teetering on top of dishes, drawers brimming with a number of gadgets that have only seen one or two uses, and then there are the pots and pans—what on earth are you supposed to do with those? It can tough to think up clever small-kitchen organization ideas when you don't even know where to begin. 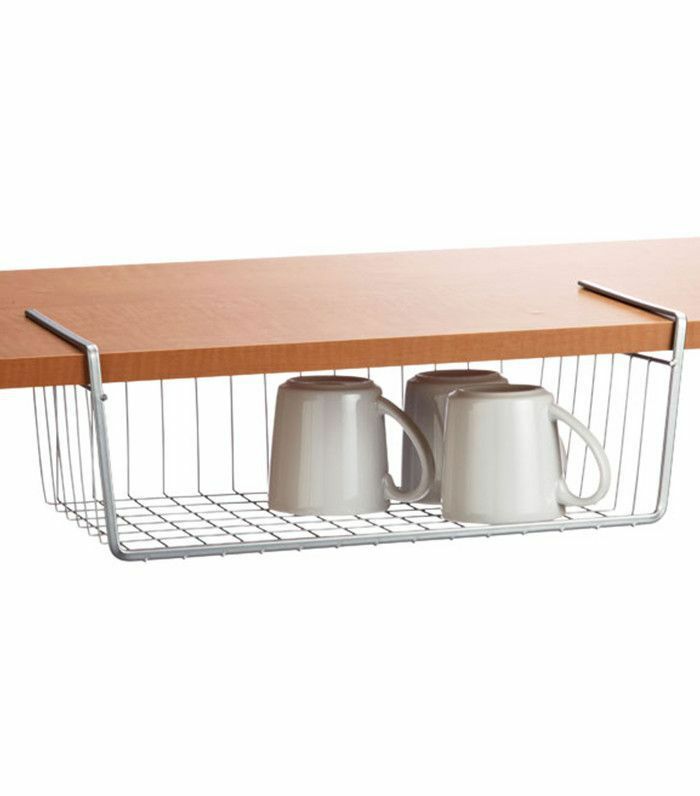 Luckily, a few ingenious retailers have produced items that allow you to utilize every square inch of space in your kitchen. You may be surprised to find that your little kitchen holds more than you think. However, before you buy items for organizing your space, it's time to get the most important rule out of the way: Take inventory. Consider each item, and discard or donate anything you don't use or have any doubles of. Once you slim down your inventory, you can begin to get your wheels turning on how to best integrate them into the space you have. Keep reading for 11 ingenious small-kitchen organization ideas that only take a few simple items to pull off. 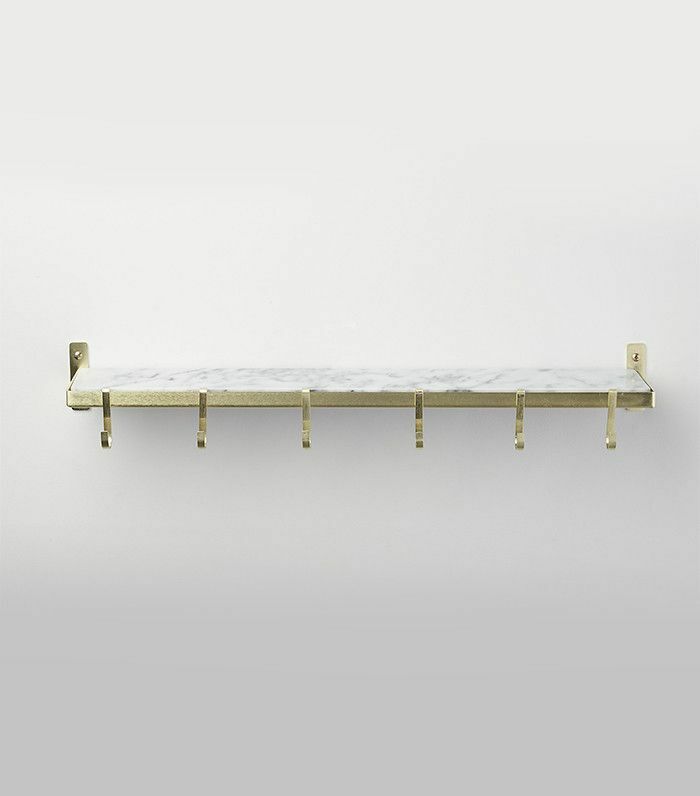 This utility shelf from CB2 is perfect for hanging directly above your stovetop. Use the hooks to hang utensils, and line shelves with spices and cooking supplies that you can easily grab and use. Sure, you could stow away knives in wood blocks on your countertops, but if your kitchen is small, then you know countertop space is precious. 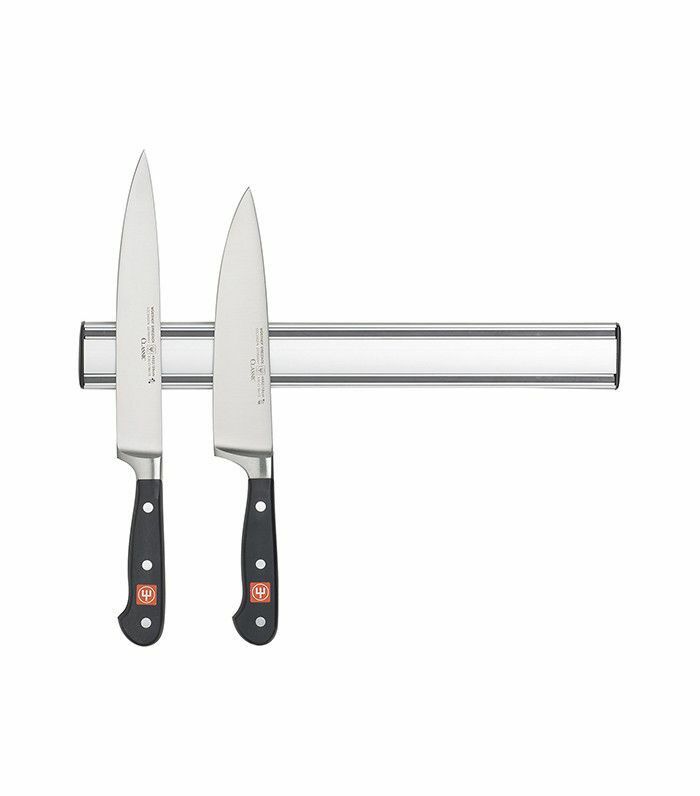 This magnetic knife holder provides a way to not only keep knives organized but also keep them easily accessible during cooking. This isn't just for magazines. Use Command strips to hang a magazine rack inside your sink cabinets. This is perfect for holding bulky bins of plastic wrap, aluminum foil, and wax paper. Shelves are an amazing space saver—but did you know your shelf has two sides? Enter the undershelf. This clever little basket maximizes a shelf's usability, giving you additional room to store bulky items. Corner space can seem impossible to utilize, but when you find items that incorporate them, take advantage! 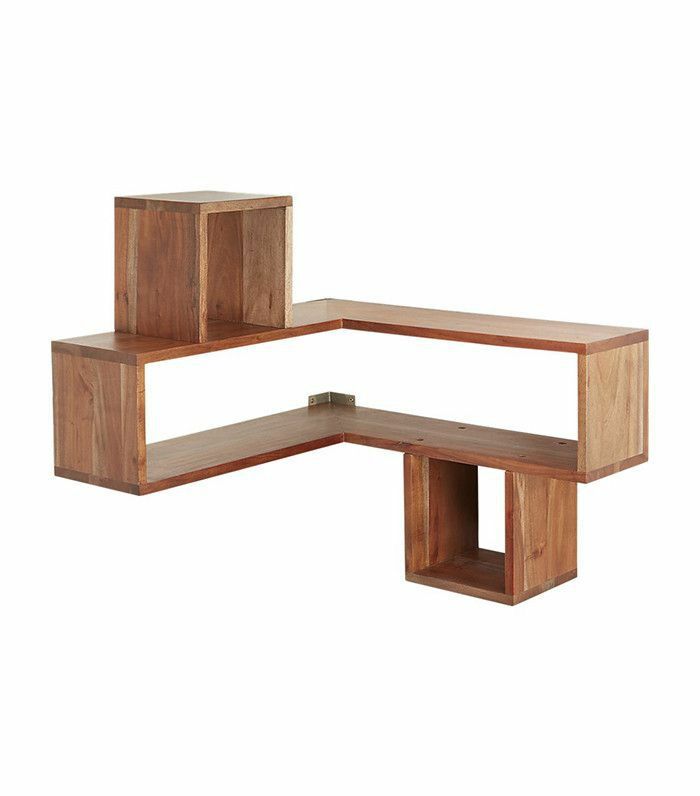 This great corner shelf from CB2 provides multiple surface options that are perfect for storing cups, spices, herb tins, and more. Anytime you can mount an item to the wall to save countertop space, do it. Instead of dealing with a clunky paper towel holder that repeatedly gets knocked over, give a chic little gadget like this a try. Ah yes, the pots-and-pans dilemma. It's time to stop with the stacking. No one wants to play a round of Jenga every time a skillet has to be removed from under a saucepan. Put that vertical space to use! 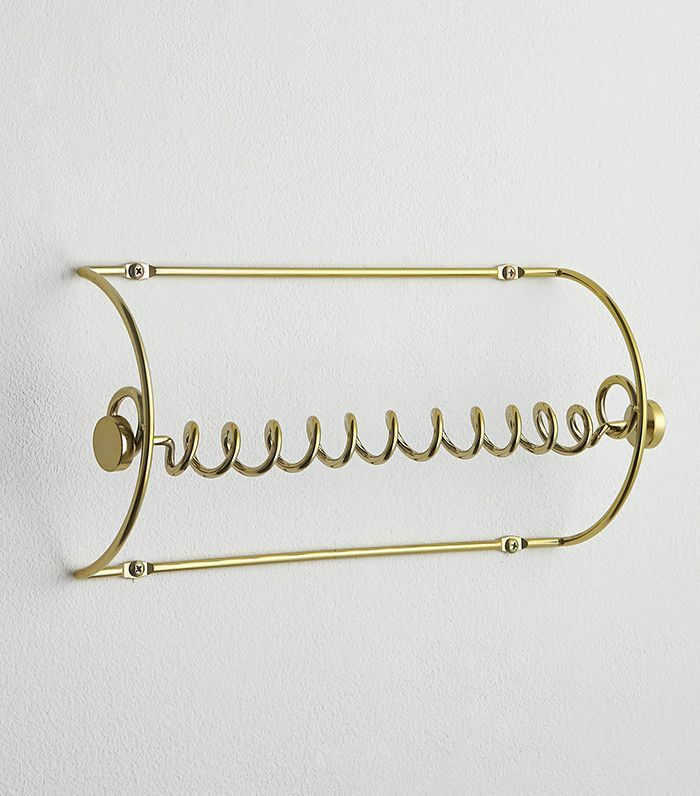 That's exactly what this hanging pot rack lets you do. 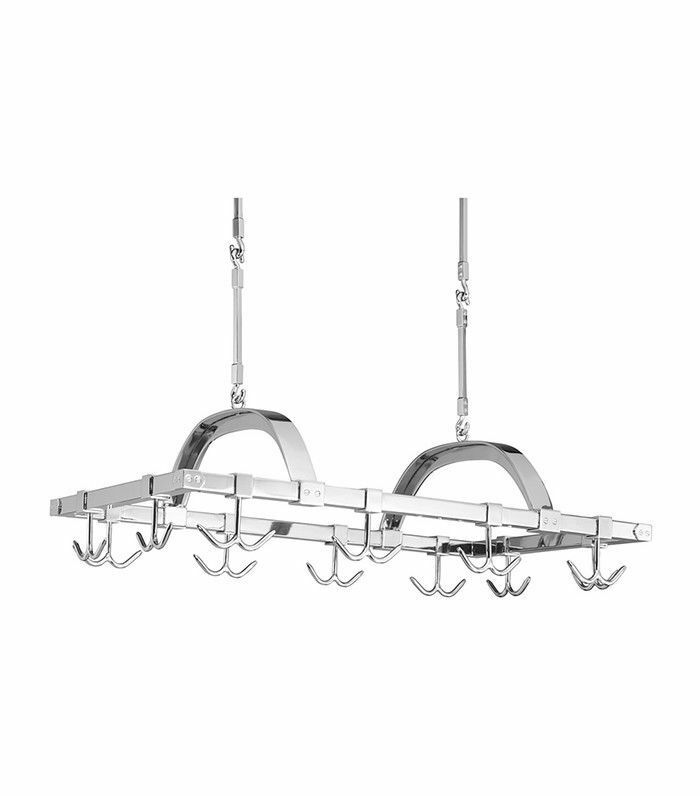 This is another handy item for hanging inside your kitchen cabinets. 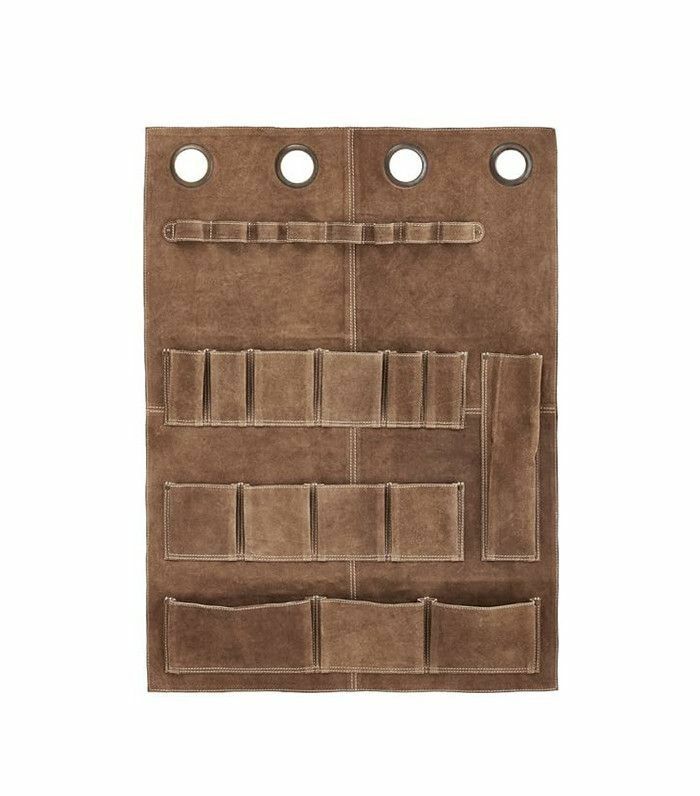 Use flat hooks and place this organizer inside your cabinets. The items you can store are endless and stay readily visible. 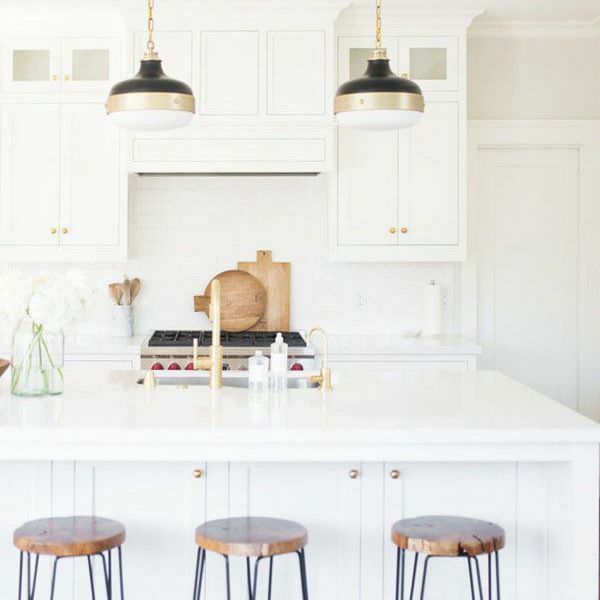 The adorable bar carts you see in every luxurious kitchen seem like nothing more than a dream when you have a tiny kitchen. 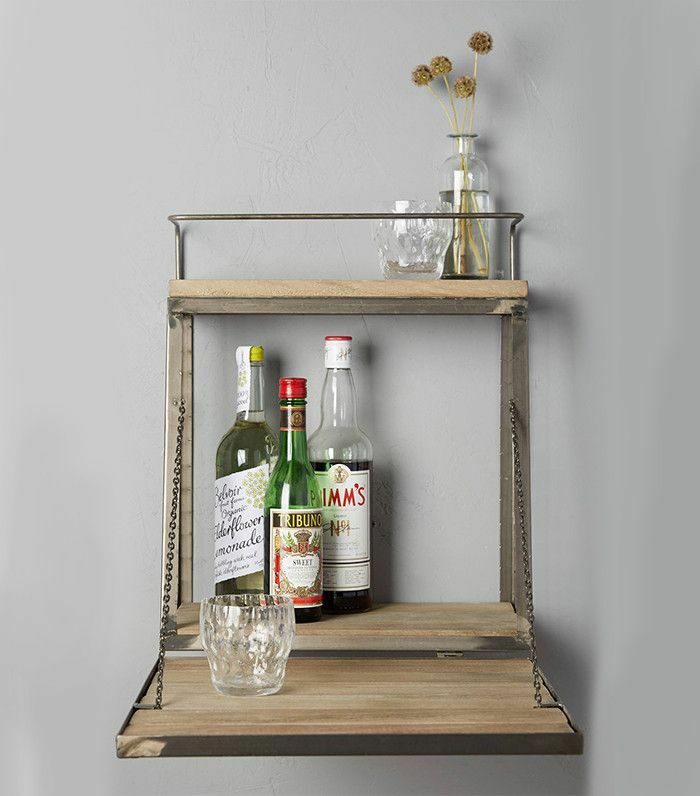 This fold-down bar shelf takes care of that little problem. Just unfold it and keep your liquor, glasses, and mixing tools on one of its three surfaces. You can leave them on display or fold the shelf back when not in use. So we've talked about how to use space within your kitchen cabinets, but let's not forget about that space on the top. 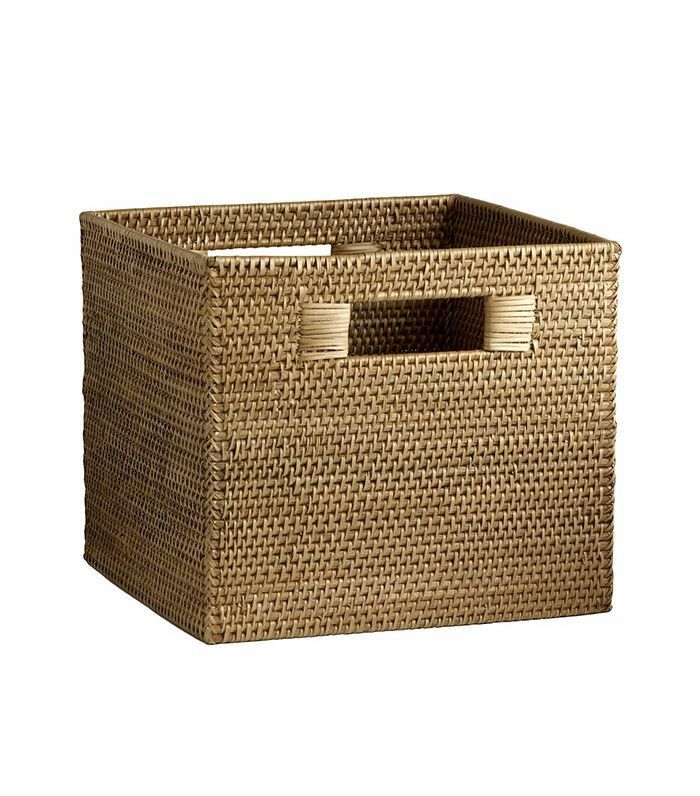 These chic woven baskets are ideal to keep on top of cabinets to store bulkier items that you use less often but still need. Think large bags of flour, sugar, or dried goods. A fruit basket is just one more item you don't need cluttering your countertop. 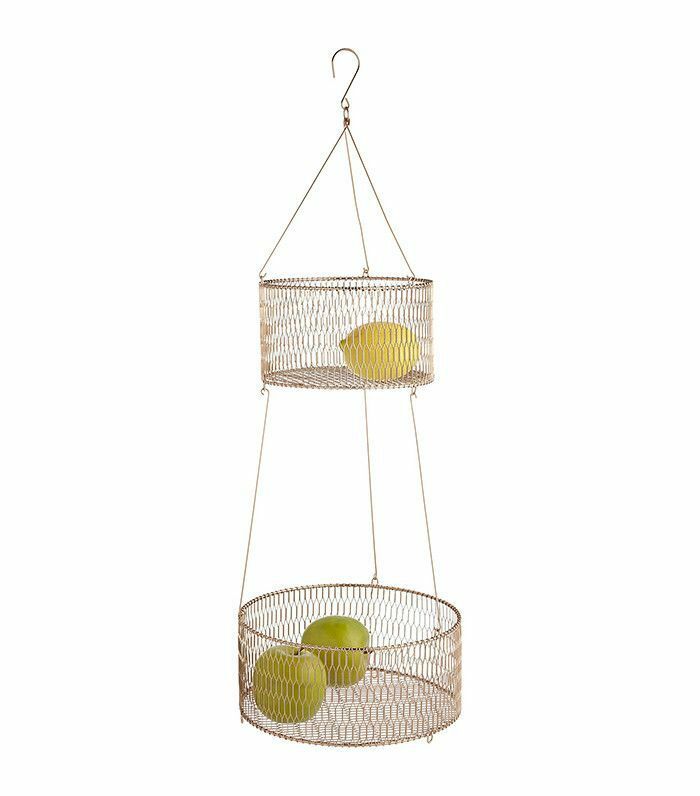 Either ditch the produce (just kidding) or invest in one of these hanging copper baskets. 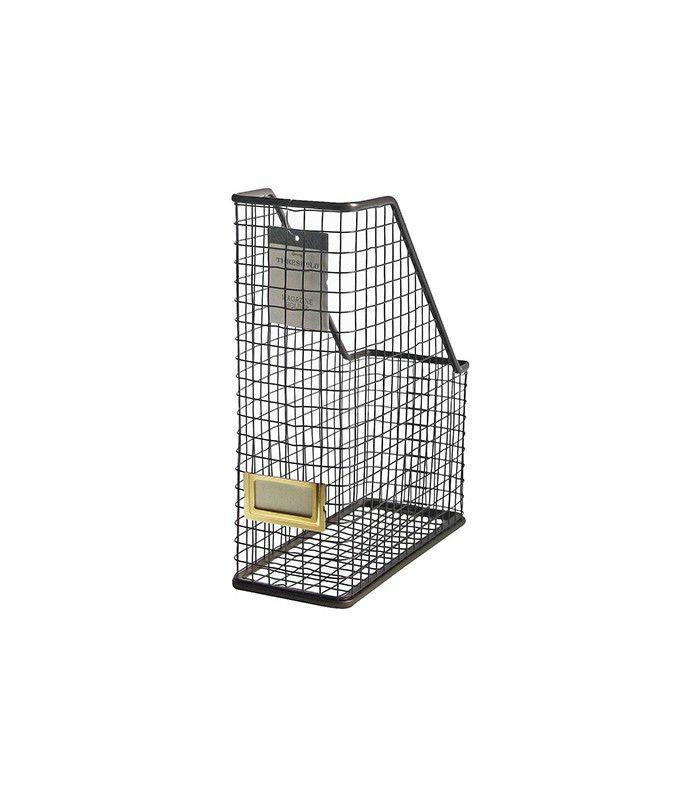 They are also a great place to store miscellaneous items like bills or mail. Need even more small-kitchen organization ideas? We've got you covered. Read our ultimate guide to organizing your kitchen.